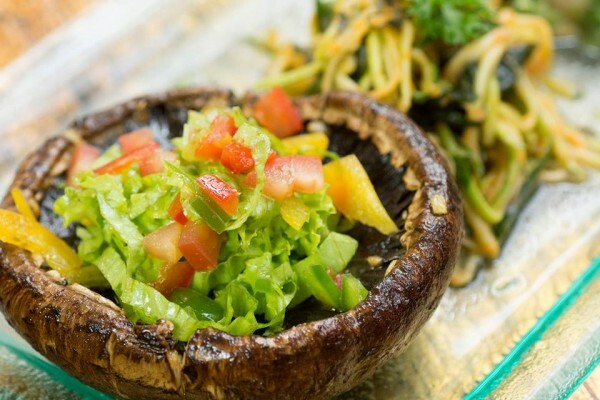 Bring out your inner vibrant vegan at Seminyak’s blissful Divine Earth. “You are what you eat”. Sometimes its a saying to remind us of the obvious: pizza and napping may be your heart-song, but they are also the road to a vibrant, Rubenesque new physique. But really, “you are what you eat” is a reminder that the natural world already gives us everything we need. You’re in Bali, it’s time to get back to nature. We are talking about smoothies. We are talking about cold-pressed juices and other nutritious, savory and sweet servings made out of raw local-grown ingredients from the fertile Balinese soil. It’s what gave this humble culinary spot on Jalan Basangsaka, Seminyak it’s name and reason for existing – Bali as Divine Earth. 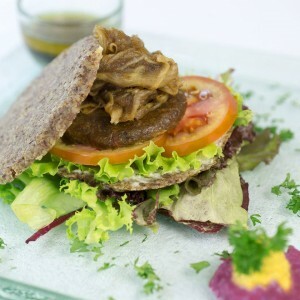 Vegan Burger — delightfully tasty, totally not an oxymoron. It is not only a perfect place to unwind your tension. It does not only serve as an escapade from blaring house club beats from the neighborhood speakers. Divine Earth provides you with holistic diet that fills your tummy with the glorifying warmth of goodness. It radiates the ideology of healthy eating. Here, you do not count your calories they way your personal trainer told you. Instead you count what matters, what makes your body get that feel-good groove. All meals and beverages here are vegan-approved. Sorry-not-sorry to all the grease-loving meat eaters out there. Begin your morning with breakfast-exclusive Banana Pancake with Vanilla Creme drizzled in Chilli Caramel Sauce. We repeat. Chilli Caramel Sauce. Is there anything more out-of-this-world than that? We understand that Summer is all around the island of God. For your thirst-quencher, try to go to the opposite from what your personal trainer-approved juice counter has offered, toss aside that Berry Booster or After Gym Shakes. Sip on the luscious Earth Warrior, a mixture of Kailan, widely-known as Chinese Brocolli, zesty lemon, crunchable apple and cucumber with a pang of earthy warm ginger and cooling mint. One glass, and you are ready for whatever awaits you in Bali! Much like ‘vegan burger’, ‘Qraved app‘ are two words that just go perfectly together, available now for iOS and Android. The post A Divine Kitchen appeared first on Qraved Journal.